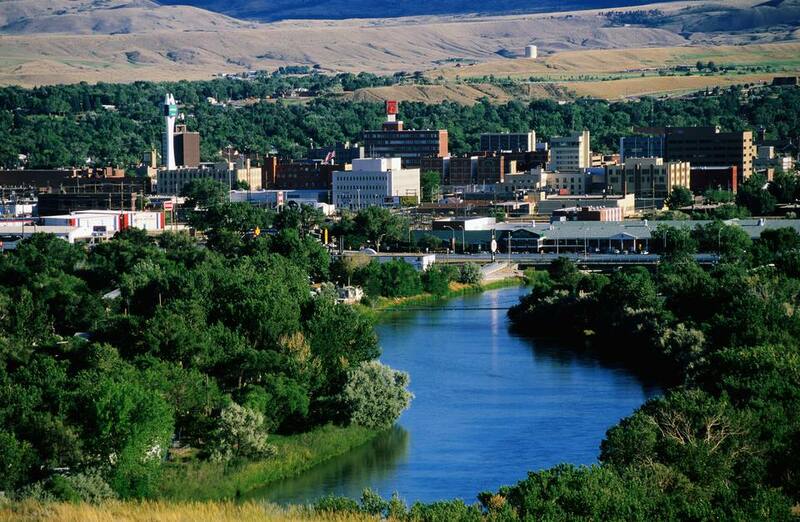 Casper, Wyoming's second largest city, is located along the North Platte River in the central part of the state. Many of the US westward migration trails passed through Casper, including the Oregon and California Trails. The captivating history of these trails is the focus of several Casper attractions. The North Platte River, as well as other Central Wyoming rivers and reservoirs, provides opportunities for fishing, boating, rafting, and kayaking. As the population of the United States migrated west, many of their trails passed through Wyoming; Wyoming's South Pass ​is one of the only practical transportation routes through the Rocky Mountains. The National Historic Trails Interpretive Center focuses on the way that these historic regional trails impacted US history, with displays and artifacts addressing Native American cultures and westward expansion. During your visit to this BLM-managed facility, you'll learn about the many historic routes through the region, including the Pony Express, California, Oregon, and Mormon Trails. This interpretive center also offers various workshops, special exhibitions, and evening programs throughout the year. More than a park or a recreation trail, the Platte River Parkway is an 11-mile string of outdoor enjoyment. Parts run right along the North Platte River, other sections or destinations are located a few blocks away. You can stroll, hike, or bike along the trail, taking in ​the local scenery. Along the Parkway you'll pass several small parks, Fort Casper Museum, Tate Pumphouse, White Water Park, and the huge North Platte River Park complex. The Platte River Parkway Trail connects with the Casper Rail Trail and other city recreation trails. Fort Casper, established in 1859, was a military and trading fort located along the Oregon Trail. A reconstructed fort now sits at the original site along the North Platte River and is preserved as part of the National Register of Historic Places. Inside the Fort Casper Museum and Historic Site you'll learn about the history and people of Central Wyoming. Topics addressed in exhibits and artifacts cover Fort Casper history, Native American culture (both prehistoric and modern), the region's historic trails, and ranching and local industry. You can explore the fort grounds and buildings and see examples of how the original inhabitants lived and conducted business. Items to check out include a wagon ferry, carriage shed, telegraph office, sutler's store, commissary and cemetery. Also known as The NIC, Nicolaysen Art Museum collects and exhibits contemporary art of the Rocky Mountain Region. Their "Discovery Center" provides hands-on art stations where kids and grownups can experiment with a variety of art media, from watercolor and crayon to clay and puppets. The NIC also offers a variety of special lectures, classes, and workshops. The Science Zone offers hands-on fun for small children, allowing them to play, explore, and build. At the Thoracic Park exhibit, they can learn about their heart and lungs, and the things that impact their health. The Engineering Zone provides the opportunity to build - and knock down - structures from building blocks and other materials. You can learn about animals in the Zone Zoo and play with bubbles at the Bubble Zone.